Personal finance encompasses everything in our lives that pertains to money and setting and achieving financial goals. To effectively manage our finances requires an understanding of financial concepts and approaches, trends that can throw us off course (or worse), and staying in tune with the bigger picture. We apply wise decision making and form a plan toward our goals based on sound knowledge and principles, diligently follow the plan, and review and adjust the plan as our lives change. It’s pretty straightforward. On this blog, I will introduce and reinforce time-tested personal finance concepts and approaches, and discuss why many ideas and recommendations that appear logical end up hurting us financially. Eliminating debt and maintaining a saving plan take diligence and perseverance, and we need all the encouragement we can get. Below is a list of some of the topics we’ll discuss on this blog. 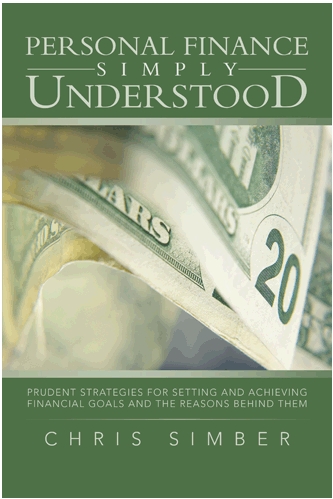 I hope you’ll join me in an ongoing conversation about personal finance management. how we determine how much life insurance is enough.